To celebrate the fact next weekend is Super Bowl weekend, Ignition Poker is hosting a special tournament with a $250,000 guaranteed prize pool. Fortunately, the tournament is scheduled for Saturday, rather than Sunday, so you will not miss any of the on-pitch action. Qualify Today! Next weekend is guaranteed to be action packed. On Sunday, the US Bank Stadium in Minneapolis will host the fifty-second Super Bowl between the New England Patriots and Philadelphia Eagles, and the previous evening Ignition Poker has scheduled a $250,000 guaranteed Super Bowl poker tournament. If you are lucky, you can still pick up a seat for the Super Bowl – although it will likely cost you in excess of $3,000. A much better use of your money is to play in the Super Bowl tournament at Ignition Poker, where a seat will cost you $325.00 and you have the chance of finishing the evening $30,000 richer. 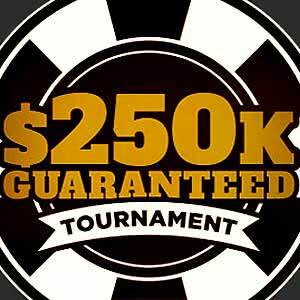 The $250,000 guaranteed Super Bowl tournament starts at 5:00pm (ET) on Saturday 3rd February. The $325.00 buy-in gets players a starting stack of 15,000 chips, which will be the equivalent of 750 Big Blinds when the tournament gets underway. Like the Super Bowl itself, there will be likely be plenty of people arriving late for the event, as registration is open for 3¾ hours until the end of Level 15. Ignition Poker´s Super Bowl tournaments has an “absolute freezeout” structure. This means no re-entries or re-buys are allowed and once you are out, you are out. For those that make it into the money, the tournament has a flatter than usual payout structure and approximately 15% of players will cash in the event – the winner taking home around $30,000 or more if the tournament beats its guarantee. To support its Super Bowl tournament, the site is hosting dozens of Cheap Seat satellites and daily qualifiers. The Cheap Seats satellites cost just $7.70 to enter and guarantee a minimum of five seats in each for the target event. The satellites take place daily at 7:00pm (ET) until the day of the Super Bowl tournament, when there will be a Cheap Seats Mega-Satellite at 1:00pm (ET) guaranteeing thirty seats. The daily qualifiers take place at 9:30am, 6:00pm, 8:30pm and 11:00pm (all times ET) with variable buy-ins and guarantees. The most interesting of these is the 8:30pm qualifier which guarantees an increasing number of seats as the target event approaches. However there is also a 3:00pm mega-qualifier on the Saturday afternoon (buy-in $44.00) guaranteeing another thirty seats to the Super Bowl tournament. If you are unfamiliar with Ignition Poker, it is a Bitcoin-friendly, US-exclusive online poker site that operates on the Pai Wang Luo Poker Network (formerly the Bodog Network). Like all sites on the Network, players at Ignition Poker enjoy the benefits of anonymous tables, around the clock cash game action and valuable multitable tournaments. If you have never played at Ignition Poker before, you can get further information about the site from our Ignition Poker review. Thereafter, if you are excited at the prospect of playing in the site´s $250,000 guaranteed Super Bowl tournament, you are invited to take advantage of a 100% bonus up to $1,000 when you make your first Bitcoin deposit. To benefit from this opportunity, simply click on one of our quick links and complete the simple registration form. Please note the $2,000 bonus referred to on the registration form applies to the first deposit poker bonus and a first deposit casino bonus. The casino bonus is one of the best in the industry and, if you enjoy casino games, is also well worth taking advantage of.